Alexander III, King of Scots was married to Margaret of England from 1251 until her death in 1275. Alexander did not appear to be in a hurry to marry again. He had two sons and a daughter with Margaret so heirs were not an issue. But by the early 1280’s, everything changed. His younger son David died in June of 1281 and within two more years, the other two children died. His daughter Margaret had married King Eric II of Norway and died after giving birth to a daughter named Margaret, best known as the Maid of Norway. At this point, Alexander’s granddaughter was his only heir. Alexander had Margaret declared his heir and then went looking for a new bride. His mother, the dowager Queen Marie de Coucy, had married Jean de Brienne, an officer of France. Jean had a stepdaughter named Yolande de Dreux and Marie may have considered her an eligible candidate to marry Alexander. In February of 1285, an embassy was sent from Scotland to France and they returned with Yolande who was accompanied by her brother John. Born c. 1267, Yolande was the daughter of Robert IV, Comte de Dreux and his wife Beatrix, the only child of count Jean de Montfort-l’Amaury and Jeanne de Châteaudun. They were a cadet family of the French monarchy and she was a descendant of King Louis VI. Dreux was located about forty miles west of Paris and the family was influential, well-connected vassals of the French monarchy. 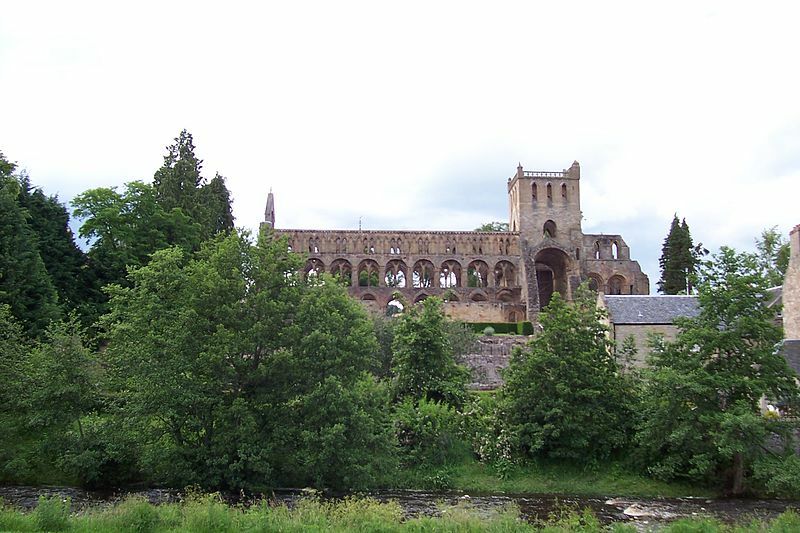 Alexander and Yolande were married on October 14, 1285 at Jedburgh Abbey, attended by a great many nobles of France and Scotland. The marriage was not destined to be long. Five months later, on March 19, Alexander was holding a council meeting in Edinburgh Castle and was anxious to return to Yolande at Kinghorn in Fife. It was late in the afternoon by the time he left with three esquires accompanying him and two local guides. He may have wanted to celebrate her birthday and she may have been pregnant. The ferryman advised him not to cross the Forth as it was getting dark and a storm was brewing. At Inverkeithing, the bailie unsuccessfully argued with Alexander, asking him to stay the night in his house. There was only eight miles left and Alexander insisted on continuing. He rode off into the dark and soon became separated from his followers. It was the last time he was seen alive. The next day, Alexander’s body was found on the foreshore of Pettycur, less than one mile from Yolande at Kinghorn. He had been galloping along the shore when his horse stumbled in the sand, throwing Alexander off and breaking his neck. Yolande and Alexander had been married for four months and fourteen days, one of the shortest royal marriages on record. Yolande moved to Stirling Castle and declared she was pregnant. The nobles met to discuss the succession crisis on April 28 and swore fealty to Alexander’s granddaughter Margaret and vowed to rule until she arrived. There was a caveat. They swore that if Yolande had a son, the throne would go to him. Either Yolande miscarried or the baby was stillborn or died shortly after birth. Tradition says the baby was buried at Cambuskenneth. The council now made arrangements for Alexander’s granddaughter Margaret to come to Scotland. After her recovery, Yolande lived in Scotland with revenues from her dower provisions. She may have lived in Stirling Castle, with an annual income of £200 from Berwick, estates in the sheriffdom of Stirling and a horse stud at Jedworth. In 1288, the Scottish exchequer was still paying her revenues from her jointure lands. She eventually returned to France. Eight years later, in May 1294 she married Arthur II, Duke of Brittany and earl of Richmond, a wealthy and influential French nobleman. He may have coveted the Montfort territories Yolande inherited from her mother. Together they had at least six children. She had a son John in 1294 and a daughter Beatrice in 1295. Her daughter Joan, born c. 1296 married the son of the Count of Flanders. Alice, born c. 1297 married Bouchard VI of Vendôme. A daughter Blanche died young and her youngest daughter Marie entered a convent. 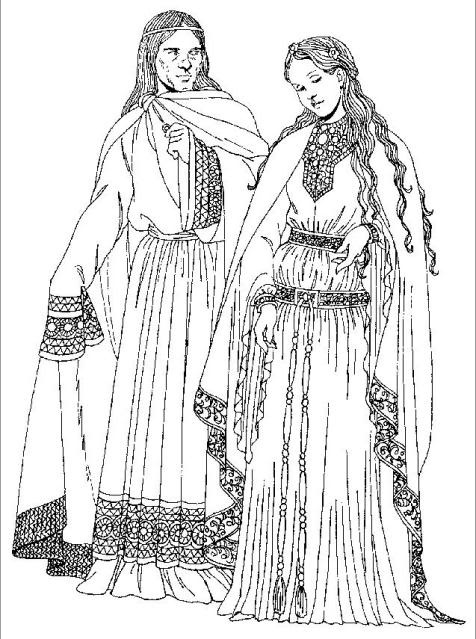 Yolande’s husband Arthur died in 1312. His eldest son by his first wife became John III, Duke of Brittany. Yolande’s country of Montfort passed to her son John who would later fight for his claim to his father’s duchy in the Breton War of Succession. Yolande continued to manage and maintain her Scottish interests. In October of 1323, safe conduct was obtained for a French knight to go to Scotland to attend to business regarding Yolande’s Scottish dower. There is mention of her making arrangements for the support of her daughter Marie in the convent. After that, she disappears from the record. What a tragic story. But the aspect of Yolande’s birthday gives it such a sweet romantic quality. Is that detail documented fact or has the story been romanticized? But if it’s true then I wonder, would Alexander have taken such chances with his life had it not been his wife’s birthday? Considering he was a king in need of heirs and how the fate of Scotland was hanging in the balance, it seems rather reckless to travel under dangerous conditions, against advice and common sense. I like to think perhaps he wanted to be there for her birthday, but of course it’s all very sad. Thank you for posting about this story, I love History ans histories and I’m glad I’ve come across it. So glad you enjoyed it Iolanda. The story about Yolande’s birthday is true. I believe Alexander was anxious to get home to his beautiful wife and work on making an heir if you know what I mean! 🙂 Of course he should have used more caution. Jean II de Brienne and Jeanne de Chateaudun are my 23rd great grandparents. Their daughter Blanche is my 22nd GGM. Yolande de Dreux is my 1st cousin 23x removed. I love reading these aspects of the lives of so long ago. It helps me put into perspective the hardships of the times. I do enjoy your stories as they relate to many of my ancestors. A couple of refinements regarding Arthur II: Brittany was an independent nation; even after the French King became the Breton Duke (by inheritance) Brittany was administered separately and its nobles classed as “foreign princes”. The nearest equivalent would be the Dual Crown of Austria-Hungary. This arrangement ended with the French Revolution. Brittany was fabulously wealthy (a Breton dowry helped finance the French Renaissance), so I don’t see Arthur II as “coveting” Dreux or Montfort. Recall that King Henry IV of France, upon visiting the Breton border town of Vitre, was astonished at the wealth of the citizens and exclaimed that were he not King of France, he’d wish to be a burgher of Vitre. Due to their country’s favourable trading location and their own enterprise, Bretons seem always to have been exceptionally wealthy. According to extensive research by Julia M.H. Smith, Brittany’s legal system, since at least the ninth century under Kings Erispoe and Salaun, was one in which peasants could afford to sue barons for trespass or other property infringements; the peasants won. In another case, a tenant was sued for rental arrears; this case was resolved with the debt forgiven and the tenancy continued. Arthur II’s maternal grandfather, King Henry III, had been temporarily deposed by Simon V de Montfort, who had then instituted the first sovereign, elected Parliament of England. Nonetheless, Arthur II founded the Estates of Brittany, with representation of the commons. Again my education has moved up a notch. Better still I am watching the Commonwealth games in Glasgow,,,being a loyal Aussie who also appreciates the Scottish teams These women in the article were very much part of the foundation of the Scottish character we see today. Scotland would like to leave the UK patronage, but perhaps not this time, we will know in several weeks . Thinking about this one is not surprised. I had a Scottish M. in Law….enough said. I hope you find more Susan…They were survivors. Once again Susan you have unearthed a wealth of interesting details! The legend about Yolande’s alleged child being buried at Cambuskenneth is fascinating but makes sense with the abbey’s relationship with Stirling Castle. The visit by the French knight in 1323 is of interest as well. A sad tale but Yolande was resilient and did well for herself and her family overall. A great story. I never knew this. Another great moment in history. Thank you for such an interesting history lesson. A subject I love. I ‘d like to send a big Thank You to Susan A. for the writing and sharing of this interresting history. I’m art historian from the University of Copenhagen in Denmark and have only recently joined the group. These kind of articles are especially interresting as my own ancestors in my mothers line officialy lead back to approx. 1170 AD. I’m certain this marriage between Alexander and Yolande brought joy to all Scots. And that the following tragic death of Alexander – however sad -stresses that they indeed had a profound relation and experienced true love. You’re very welcome Vibeke. Glad you enjoyed it. Thank you again for bringing to light another interesting queen. History has been good to unearth great pieces of history about the kings and thanks to your research some of us are gaining an education about these early queens. Very interesting! I had heard some of this story but I knew nothing about Yolande. I always think the death of Alexander III is one of the most tragic among the Scottish kings, perhaps because it’s one of the most romantic! We can only imagine the feelings of Yolande. These women must have had such reserves of strength. I think you are right Jo. These women were very tough. That’s what I like about them.